Nuclear physicist Erich Vogt was a distinguished researcher, a respected professor, a pioneer in his field and one of Canada’s most gifted scientists. Erich received academic degrees at the University of Manitoba and Princeton University. From 1956 to 1965, he was on staff as a theoretical physicist at the Chalk River Nuclear Laboratory, where he published a large number of papers on nuclear reactions and was heavily involved in the creation of the first CANDU reactors for Canada. In 1965, he became a professor at UBC, and was a founder and one of the pioneers behind the TRIUMF project – Canada’s National Meson Sciences Research Facility located on the Point Grey campus. From 1975 until 1981, Erich served as Vice President, Faculty and Student Affairs, at UBC. In 1978, he was appointed as the first Chairman of the Science Council of British Columbia, a position he held until 1980. In 2006 he was appointed to the Order of British Columbia and in the same year received the UBC Faculty of Science Achievement Award for Teaching. Erich continued to teach first year physics until his 80th birthday in 2009, and in 45 years taught more than 5,000 students. 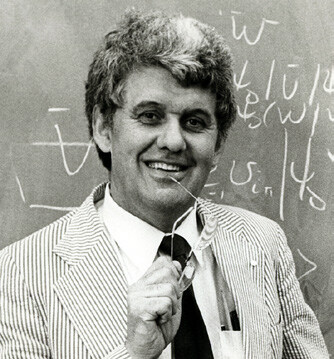 He was president of the Canadian Association of Physicists from 1970‑71, earning the 1988 CAP Medal for Achievement in Physics. In 1976 he was appointed an Officer of the Order of Canada. He received the Queen Elizabeth Silver Jubilee Medal in 1977, the Golden Jubilee Medal in 2002, and the Diamond Jubilee Medal in 2012.